Join us for our Annual Summer Series. 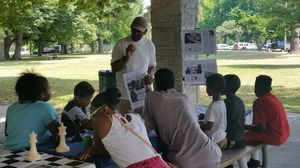 During Summer Series kinship caregivers and their families participate in fun and interactive programming where you will learn about nutrition, wellness, energy assistance, youth enrichment sessions and educational opportunities. Held at Walbridge Shelter House. Cab services available, call 419-382-0624 ext. 1175 make arrangements!